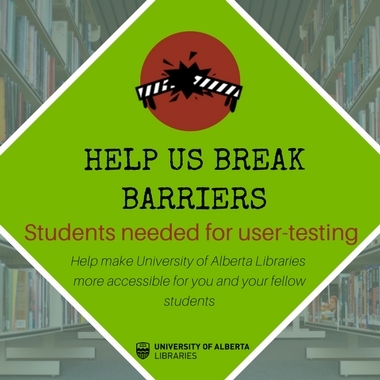 The UAlberta Libraries are conducting an accessibility assessment of the library spaces, the library website, and the programs and services we offer. The sessions will take between 1-3 hours depending on the assessment activity. We are aiming to recruit students who identify as having a disability or find it challenging to access library resources. By participating in this project, you will receive $25 in ONECard cash. If you are interested in participating in this project, please contact Kirsti VanDornick at kirstiv@ualberta.ca. Welcome to Library Hacks, a recurring segment where we give you tips on using the library. In this episode we learn about RESERVES. 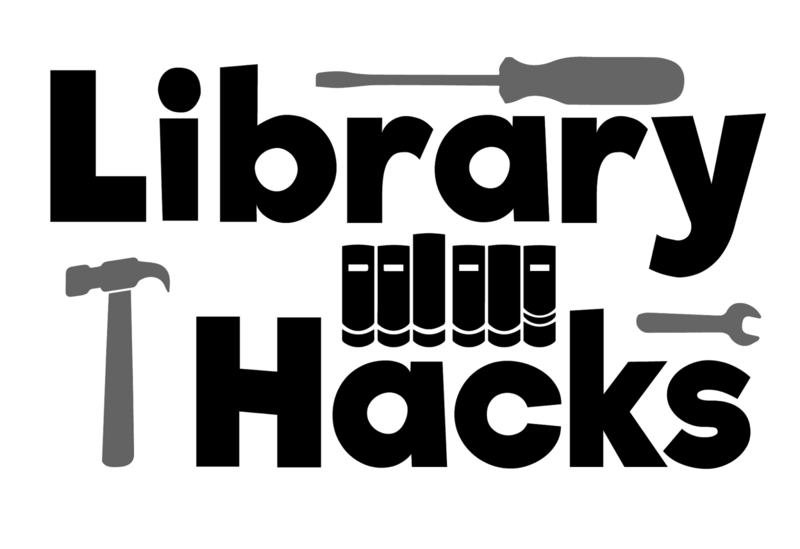 Reserves are library materials that are in high demand. Reserves can be books, DVD videos, sound recordings, music scores or any other type of library material that is being used as part of a class and therefore is in higher demand then usual. When items are on reserve they usually check out for 2 hours to ensure everyone in the class can make use of them. How do materials get on ‘reserve’? The University of Alberta Libraries has a textbook initiative that ensures all textbooks used in UAlberta classes over $50.00 get added to the related reserve collection in the library for that subjected area. So for example if you have an astronomy textbook that is over $50.00 it will be added to the Cameron Science and Technology Library reserve room. If your textbook is in Art History and it is over $50.00 it will be placed on reserve at Rutherford Humanities and Social Sciences Library. Instructors can also identify books and materials they are using for their classes and have them added to the reserve room. Student who cannot find their textbook can make a request to have the textbook added via a form on the library website. How do you find reserves? The best way to find reserves is to search for them on the library website first. 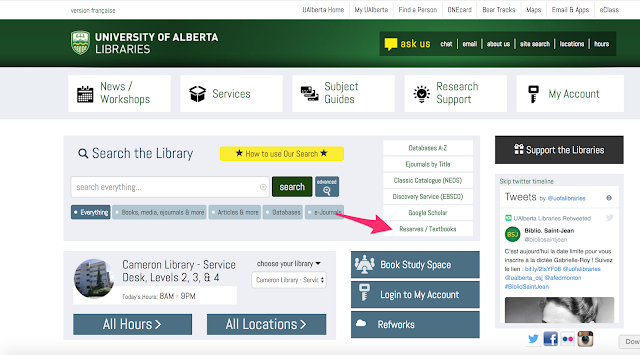 You will find a Reserves search to the right of the search box on the library website. In the reserves search you can search by course abbreviation like ANTHRO 101 or ENGL 103 to see what materials are available for your class. The item records of reserve books will give you a Call Number that you will need to find the books on the shelf, and the record can also tell you if the book is in or checked out. Try out the reserve search. How do you check out reserves? Once you have found the material on the shelf you can use the self-service machines in the Reserve Room to check them out. When returning materials, check them in on the self-service machine and leave them on a nearby cart for reshelving. Overnight reserves are due in the morning when the library opens. If the library is still closed when you come to return a reserve item you can put the materials into the book return and library staff will check them in when the library opens. The most important thing to remember about reserve materials is that they are there for everyone in the class. Make sure to return your materials on time and share with your classmates. Or maybe you need first hand accounts and news coverage of events and politics for your Canadian history or political science classes? University of Alberta Libraries provides access to the full text of two major Canadian newspapers, including The Globe & Mail (1844-2014) and Toronto Star (1894-2015). Do you need research materials for your political science classes about the United States government and foreign policy? 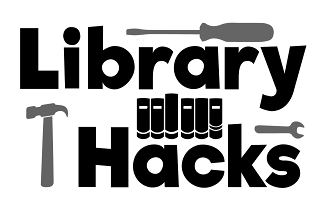 You can use the Legislative and Executive database to find publications from the United States Congress. Use Legislative Insight to learn about the history of U.S. legislation. You can also find historical political news in the News, Politics, and Policy Magazine Archive. The Archive includes Newsweek (1933-2012), Americas (1949-2012), and UN Chronicle (1964-2015). Food for Fines is back! 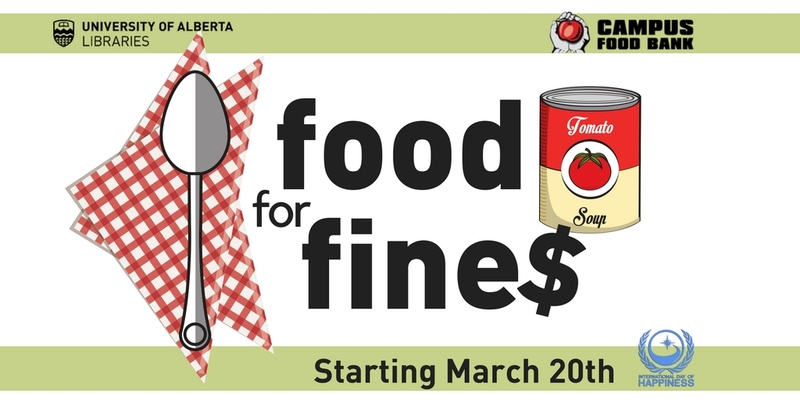 Starting March 20th until April 27th the University of Alberta Libraries are accepting donated non-perishable food items at all library locations. Coincidentally, our launch date - March 20th - is also the International Day of Happiness. What a great way to celebrate by making people in our campus community happy by filling the cupboards of the food bank. In partnership with the Campus Food Bank, all donated food items will be distributed to members of the University of Alberta community. Donate non-perishable food item(s). Preferred items include canned veggies & fruit, canned beans (without sauce) and healthy snack items. However all non-perishable contributions are welcome. For every item donated, you will be waived $5 in overdue fines, to a maximum of $100 (20 items). The International Day of Happiness is March 20th but the philosophy is meant to carry throughout the year. Canada is ranked as the 7th happiest place in the world (Norway is number 1 ) but all of the top countries rank highly on the main factors found to support happiness: caring, freedom, generosity, honesty, health, income and good governance. Giving is one of the keys to happiness so although you may have no fines we encourage you to bring a food item and contribute to the food drive! The countdown is on to find out who are the winners of the Images of Research 2018 competition. In three weeks, the winners will be announced and we need the community’s voices to choose who will be given the People’s Choice Award. The winning image will be the one that the people feel is the most engaging visual portrayal of the creator’s research. Essentially, the competition is an exercise in bringing academic research to the public in an engaging way. The People’s Choice Award winner will receive $250.00 and their image will be preserved in UAlberta’s digital archive, ERA. Public voting is open from March 14-21, 2018. There are 60 entries in the running. Share far and wide on your social media to support your favourite entry. Discover the previous Images of Research winners and semifinalists in ERA. We're Still Excited about Open Education Week 2018! 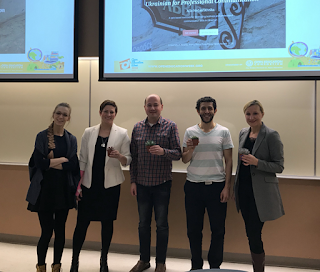 We don't know about you, but we are still riding on the wave of excitement from Open Education Week last week! If you weren't able to make it, you missed some great presentations and the opportunity to join us in recognizing some of the great work that encompasses the values of openness on our campus. These individuals have exerted passion and effort in pushing forward open resources in the face of barriers that exist for OER. The resources they have contributed serve our institution and increases instructional capacity outside the walls of the University of Alberta. Truly this is in line with our university commitment to "uplift the whole people". Please join us in thanking Alla Nedashkivska, Samer Adeeb, Chris Powter, Sean Luyk and the Mennonite Centre for New Comers for growing openness for our community. The Mennonite Centre for Newcomers has openly released a collection of readings of traditional folk tales in many languages. These stories are open for everyone and are especially impactful for people who are new to Canada just beginning to learn English. A special thank you to Sean Luyk who was key to bringing this collection to ERA A+V. Chris was the faculty sponsor and champion of the Oil Sands Research Information Network (OSRIN) community of materials which brought precious documents about the history of oil sands reclamation in Alberta to ERA to the open web. His instrumental and role in bringing these materials to the public is worth our recognition. This collection has significantly increased the instructional capacity for faculty in Alberta and elsewhere in oil sands reclamation practice and history. Kicking Yourself for Missing Open Education Week 2018? Check out the schedule of Open Education Week 2018 events to see what you missed.